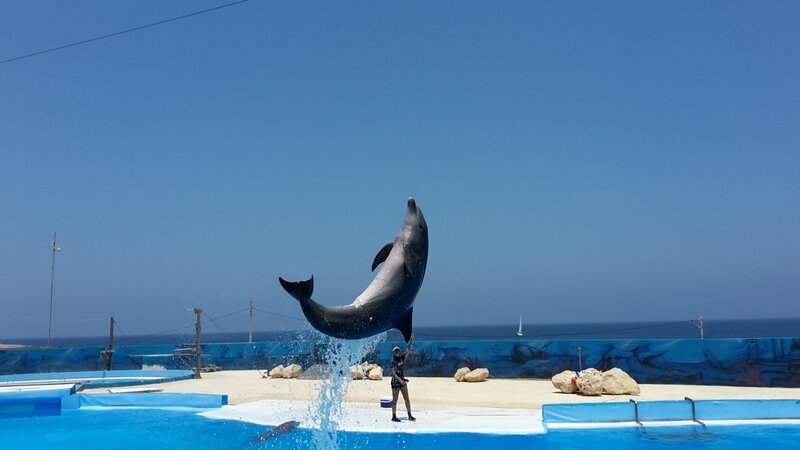 The Mediterraneo Marine Park is at the North center of Malta, just beside the sea, offering a great day for adults and children to understand more about the marine life. 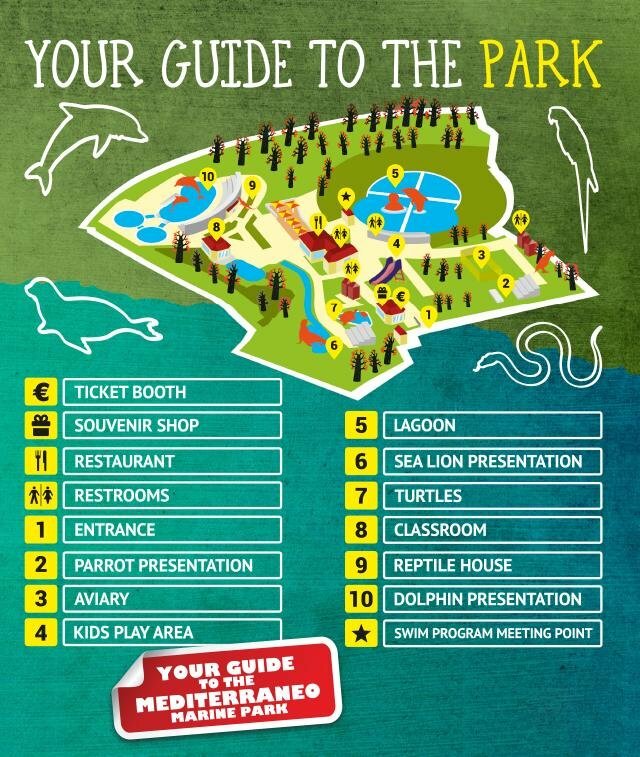 The park has three main programs which are held daily: the Dolphin Presentation, the Sea Lion Presentation and the Parrot Presentation. 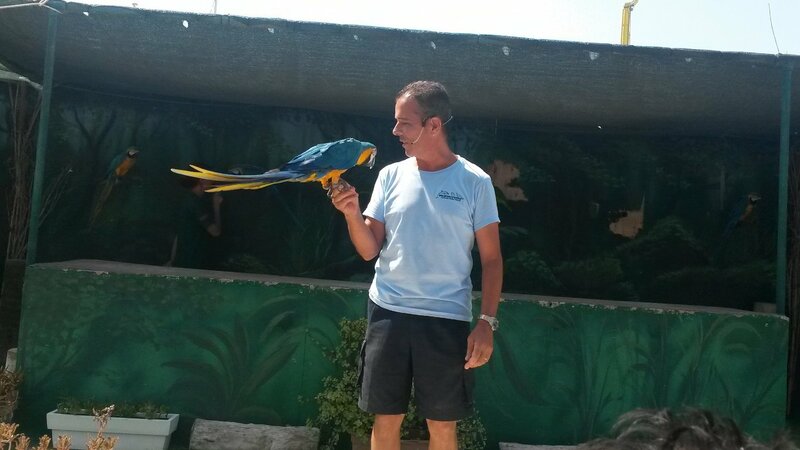 Beside these programs you can find turtles, aviary and reptile house at the Mediterraneo Marine Park. 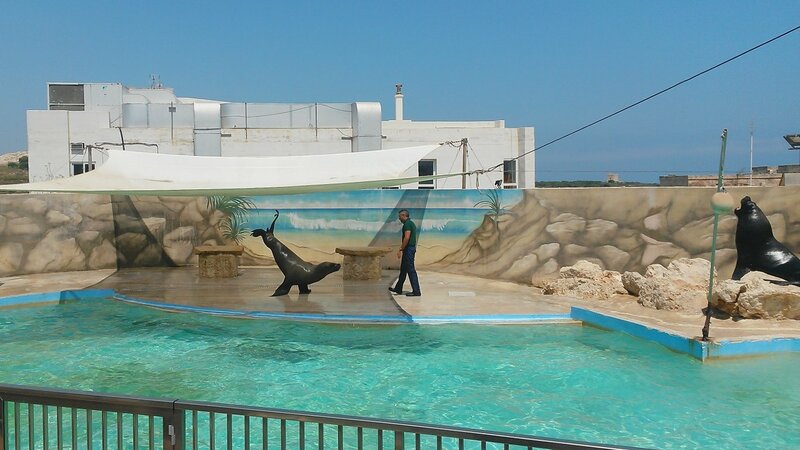 The Mediterraneo Marine Park is easily accessible either with bus or car. There are multiple parking areas, the main is in front of the entrance, and you can find free space around the whole park. Many bus goes there – like X1, 222 – which stops just before the main parking area, only a few meters walk till the entrance. At the entrance, where we bought our tickets, they said all presentations are twice a day. 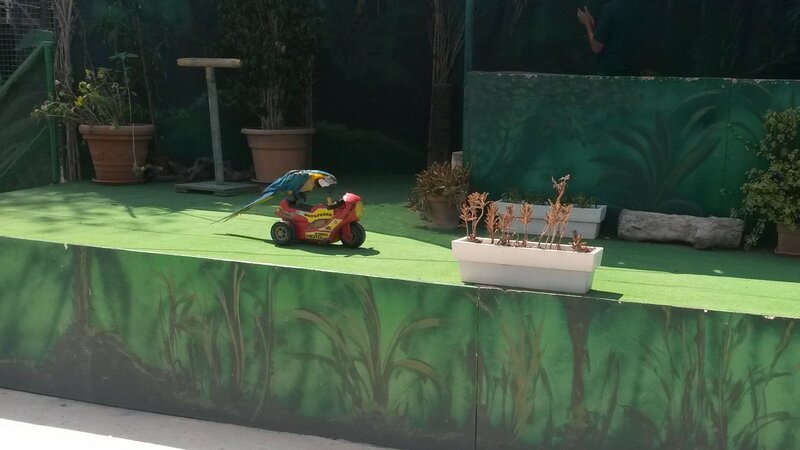 The basic ticket to Mediterraneo Marine Park is relatively cheap around 16€ for adults and around 10€ for children. 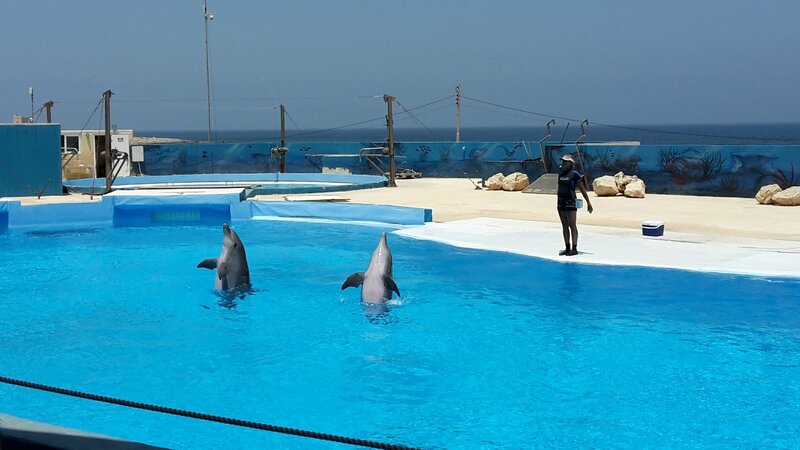 If you would like to swim with dolphins then the price goes up to 120-130€ depending on the season. 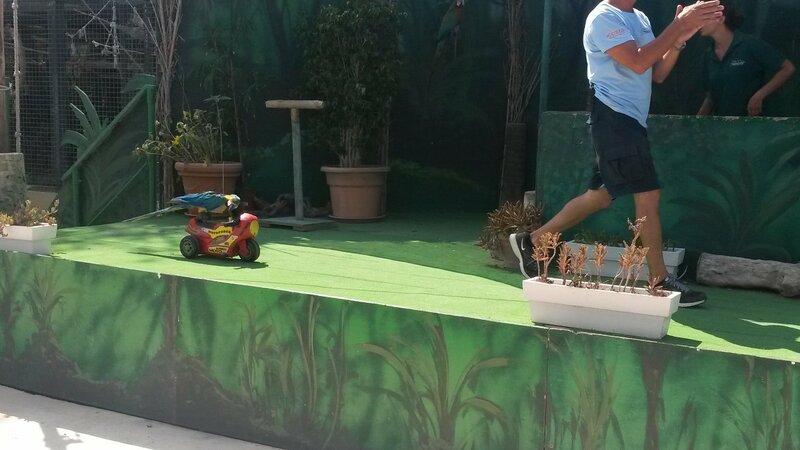 We started with the Parrot show which took approx. 20 minutes. 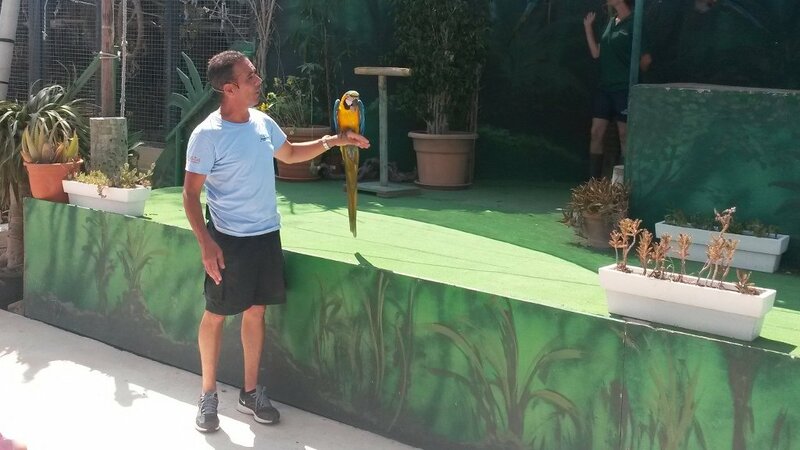 It was nice, some of the parrots even flied into the audience or the performer walked with a parrot on his arm between us. I liked it better than I thought I would. 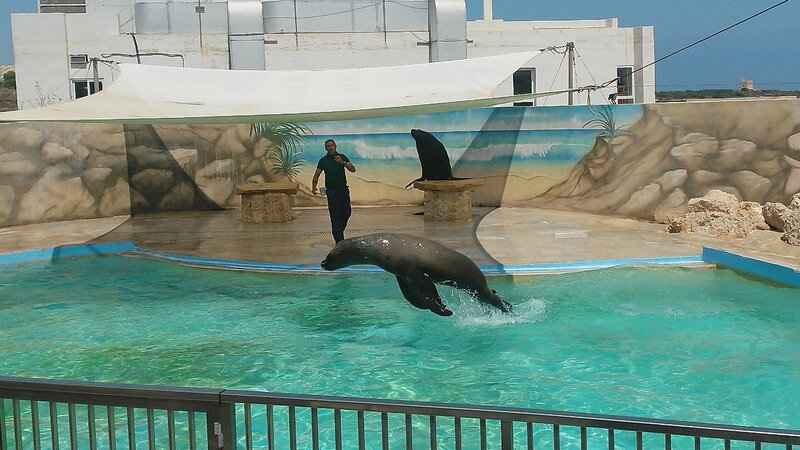 The second was the Sea Lion show what we attended, which took approx. 30 minutes. There was a growing queue before the entrance and no shade. Fortunately we didn’t have to wait too long, but till that we tried to hide from the blazing sun. 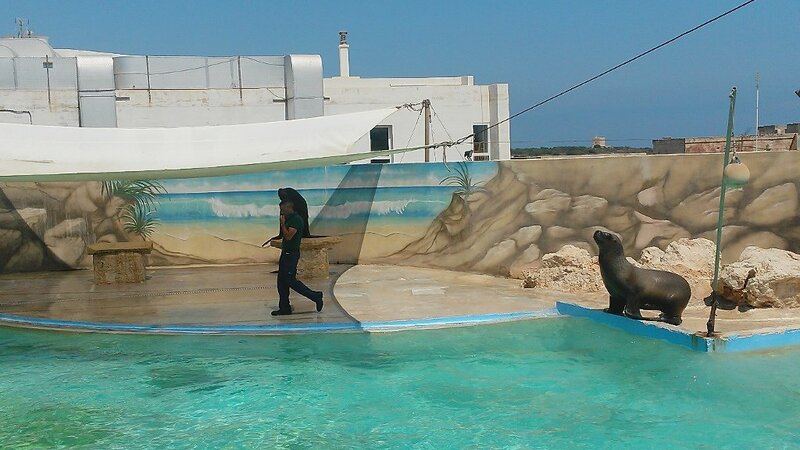 The show was nice with two Sea Lions, they swam, clapped, “talked”, jumped and did even more funny things. Finally we went to the Dolphin show which took approx. 20 minutes. Before the gate, even bigger queue without any shade at 1 pm, under the blazing sun. You can’t go inside and sit till it starts, you have to wait outside, till they open the gate. Wasn’t that good. That was the time when we decided, we will buy hats as soon as possible. Anyway I love and adore dolphins (who don’t? ) and that was my first time to meet them in person. I just couldn’t wait to get in so thanks Mediterraneo Marine Park for the opportunity! 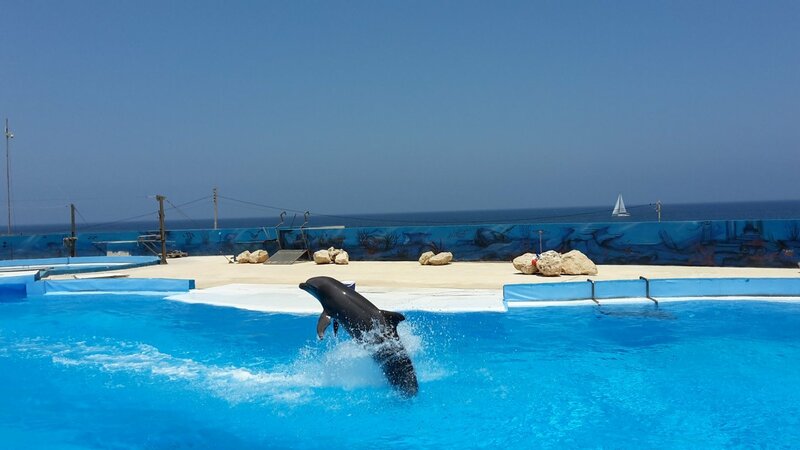 The show was nice – as the other ones – with a few good tricks, like when the woman put his foot on the dolphins nose and swam with them. Basically the dolphins swam, the woman just stayed put. If you bought your ticket to swim with dolphins too, then this program starts after the dolphin show. The only drawback that you can do it only in a group with a few (5-6) other people and it takes approx. 30 minutes. So if you divide the time, basically you have 5 minutes “alone” with the dolphins, which is not too much. The park is not that big, you can walk around just in a few hours even with sitting in to the shows. 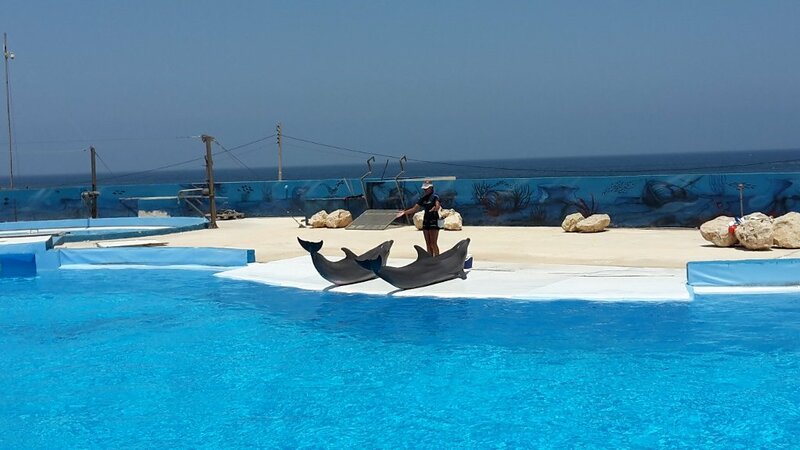 So don’t plan with a whole day program or bring swimwear with you and after the Mediterraneo Marine Park go to the beside Splash & Fun Water park which has a separate entrance through the main parking area. After the park – as we walked around and saw everything relatively quickly – we went to the National Aquarium. 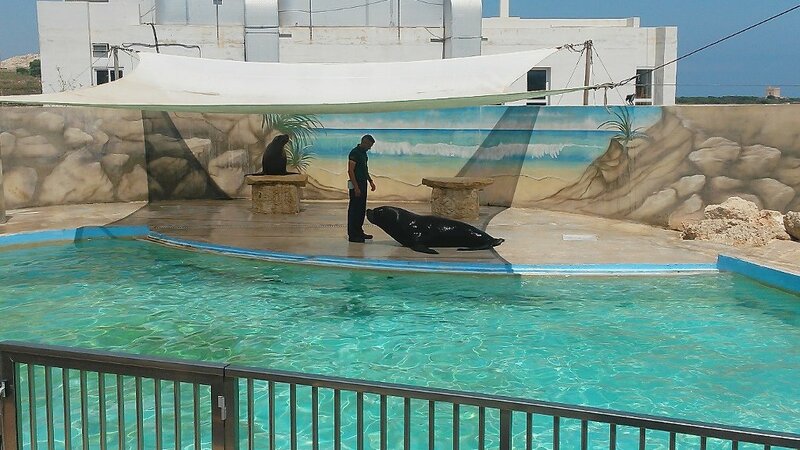 The Mediterraneo Marine Park was at max a 4 hours program for us. It was good for one.